SOS Inventory was built from the ground up to have a tight integration with QuickBooks® Online. Get sales orders, assemblies, serial inventory, multiple locations and much more, all at a fraction of the cost of traditional manufacturing systems. Download a PDF version of this App Fact Sheet to keep and share with your clients. 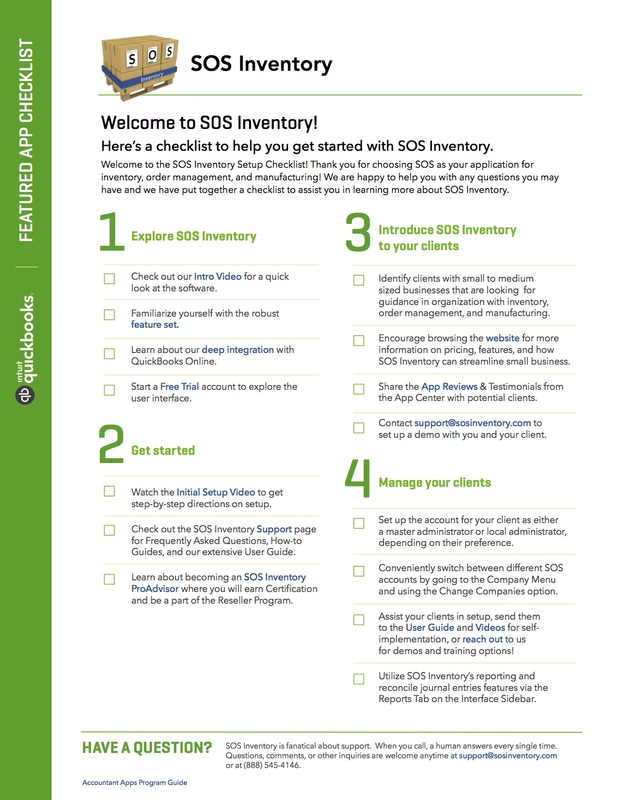 Editor’s note: Check out this SOS Inventory Case Study and Fact Sheet.